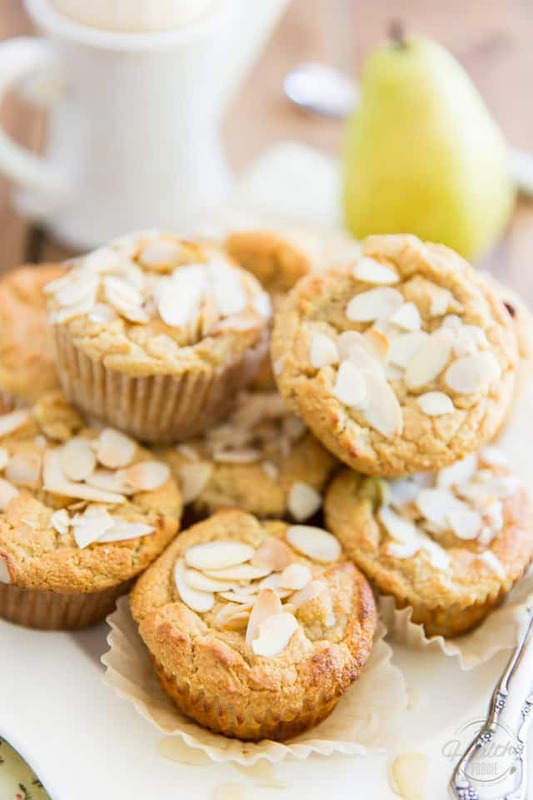 Free of gluten and refined sugar, these Honey Almond Pear Muffins are filled with wholesome ingredients and make for the perfect good-for-you snack or breakfast on the go! It had been a while since I last came up with a good muffin recipe. Me thinks I was way overdue, and I hope you feel the same! 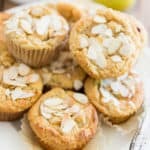 This time, I chose to replicate, or well to make my own gluten and refined sugar free version, rather, of some delicious Pear and Almond Muffins that my daughter bakes at work and had me taste last week. While I stepped a little bit out of my comfort zone — I’m more of a Bran Muffin or Oatmeal Muffin kinda girl — I must say that I’m extremely pleased with these guys and can definitely affirm that I will be making them again! 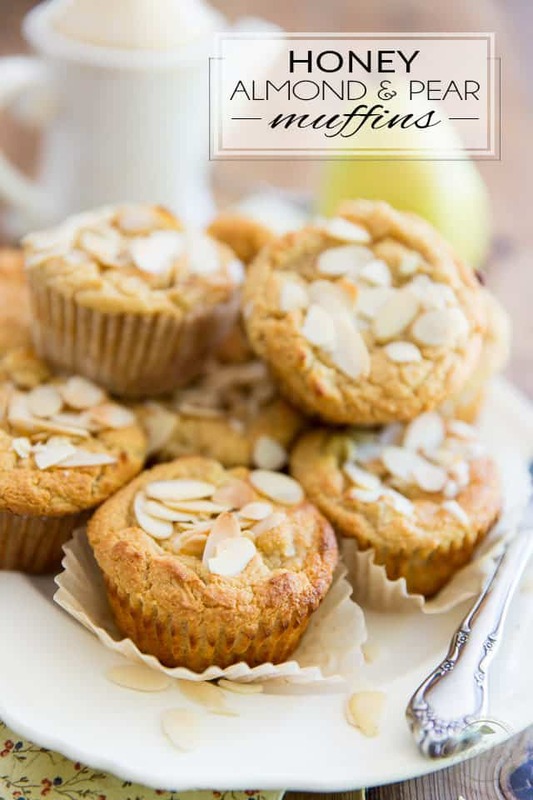 Now for those of you who are familiar with my baking, be warned that these Honey Almond Pear Muffins are a tad sweeter than the ones I usually come up with, but this time, I really wanted the honey to shine through, so I went a little heavier on it. I think you’ll agree with me that it was a good call, but still, feel free to use a little less if that makes you feel better. 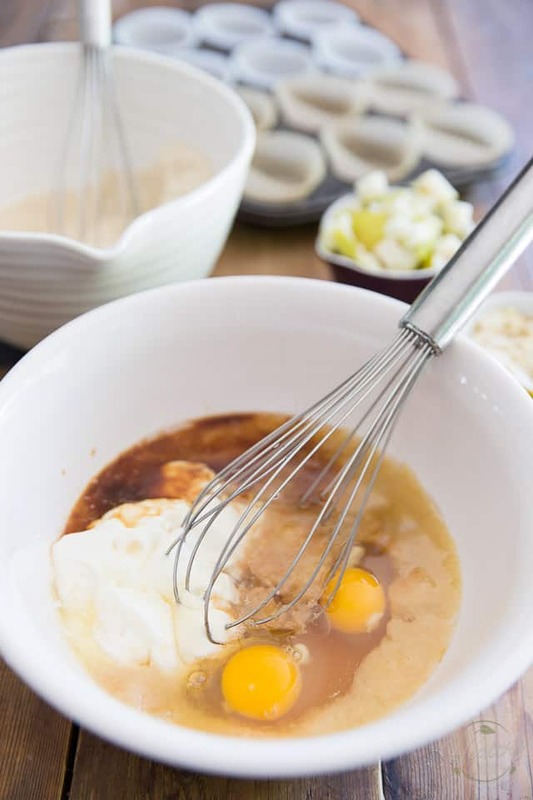 Then, in a large mixing bowl, combine some eggs, pear puree (or unsweetened applesauce), plain Greek yogurt, honey, melted coconut oil, vanilla extract and almond extract and whisk vigorously until thoroughly combined. If you couldn’t get your hands on pear puree, you could make your own by processing a couple of ripe pears in a small food processor. 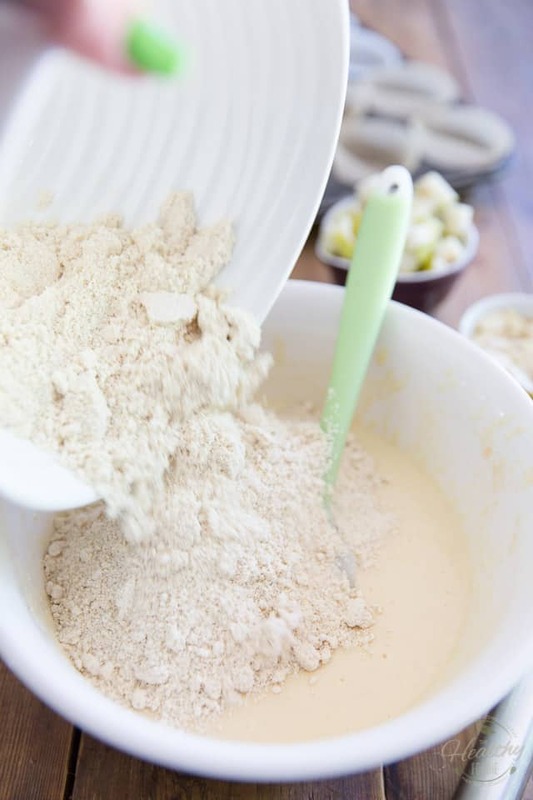 Next, in a separate bowl, combine some almond flour, oat flour, coconut flour, baking powder and salt and mix well with a whisk until fully blended and completely lump free. 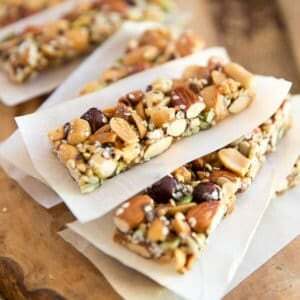 You could also easily make your own oat flour by processing rolled oats in a high speed blender. 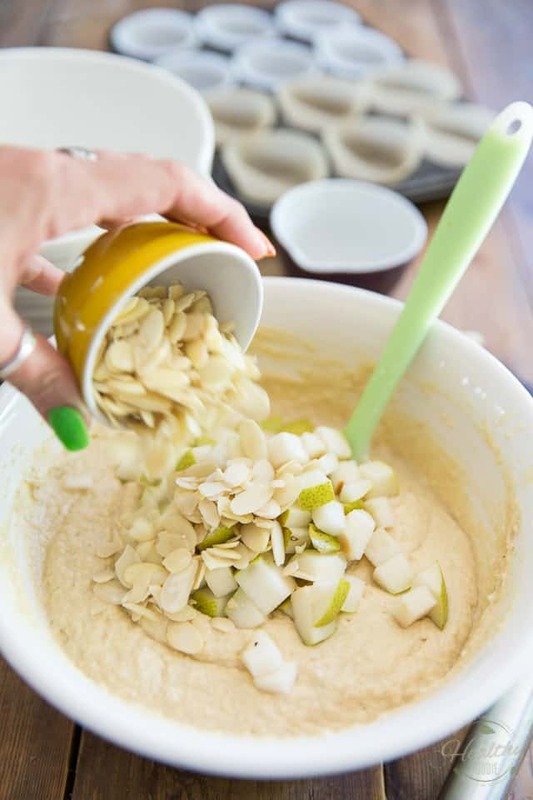 Add the dry ingredients to the wet and mix well with a rubber spatula, then delicately stir in the pear cubes and almonds. Here’s a tip for you: a size 8 (4oz) spring-loaded ice cream scoop works perfectly well for that! It’s like the PERFECT size, seriously! If you happen to have one in your drawers, now would be a really good time to take it out. 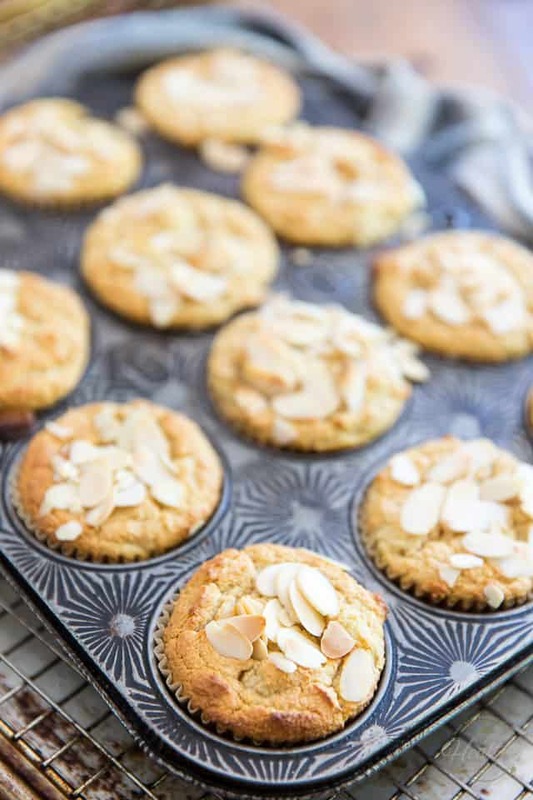 Finally, top each muffin with a pinch of sliced almonds, if desired. I strongly suggest that you do, desire. This simple little garnish does a lot for the muffins, both in the flavor and texture department. Plus, they look awfully pretty, wouldn’t you agree? 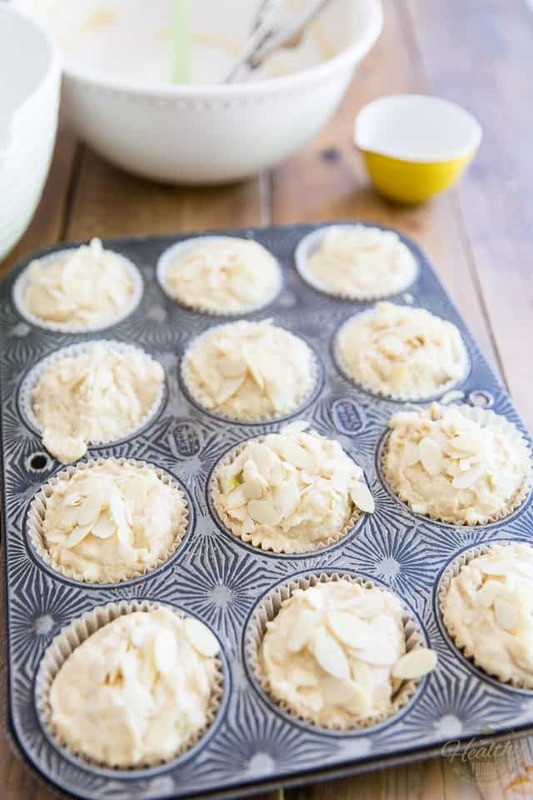 Bake the muffins in the pre-heated oven for 28 to 30 minutes, or until the tops are golden and a toothpick inserted in the center of a muffin comes out clean. When they come out of the oven, the muffins will be extremely delicate. It’s imperative that you let them cool completely in the pan, at least 45 minutes, before you attempt to remove them. Try and move them while they’re still hot and you’ll most likely end up with a pile of mushy pear compote crumble… not bad, but not exactly what we’re after! 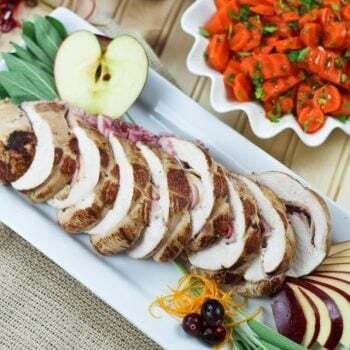 Plus, their texture and flavor gets so much better once they’ve had a chance to cool, and even chill! 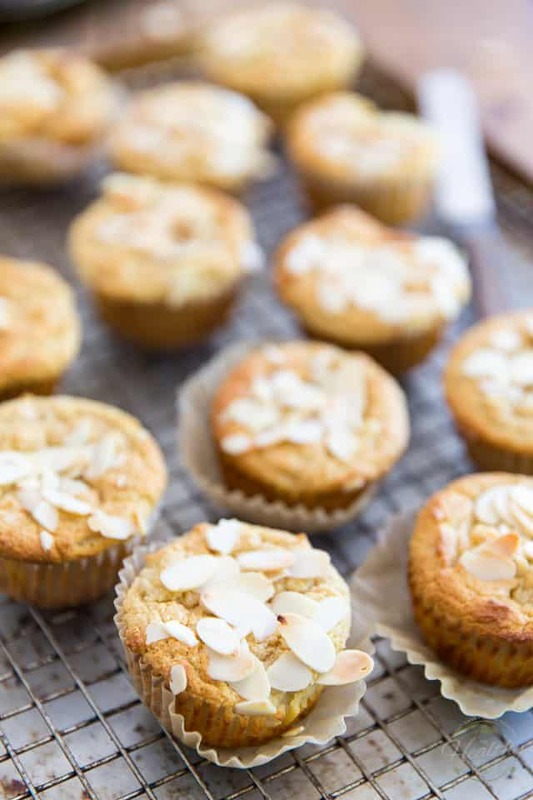 So I strongly suggest that you refrigerate them before indulging, and that you store your uneaten muffins in the fridge in an airtight container, where they will keep for up to a week. 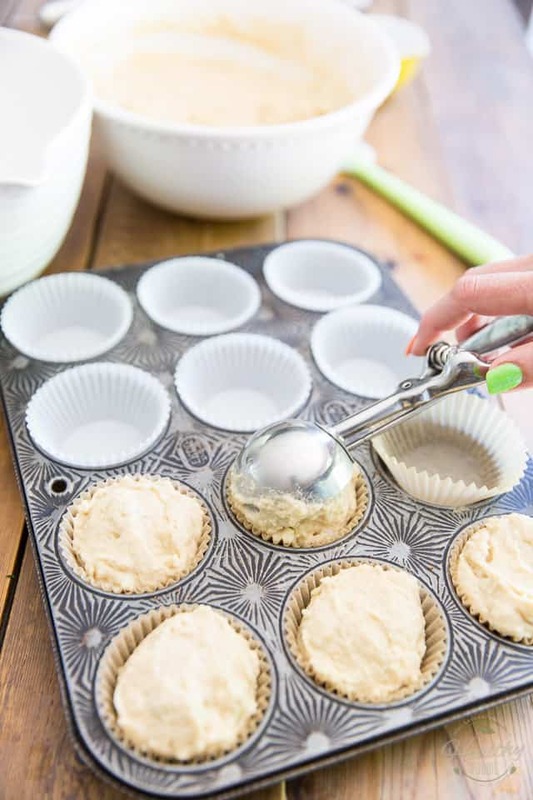 Preheat your oven to 375°F and line a 12-cup muffin pan with large parchment paper cups. 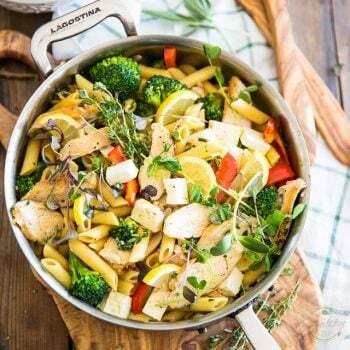 In a large mixing bowl, combine the eggs, pear puree, plain Greek yogurt, honey, melted coconut oil, vanilla extract and almond extract and whisk vigorously until thoroughly combined. Set aside. 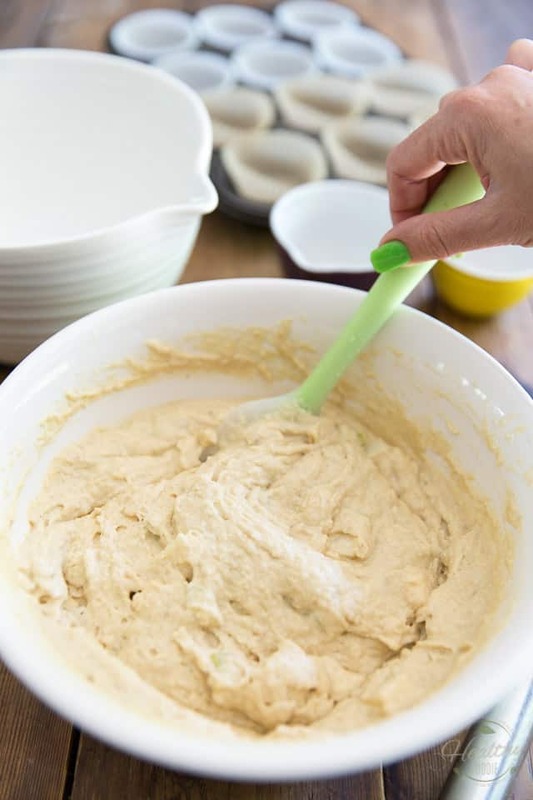 In a separate bowl, combine the almond flour, oat flour, coconut flour, baking powder and salt and mix well with a whisk until fully blended and completely lump free. 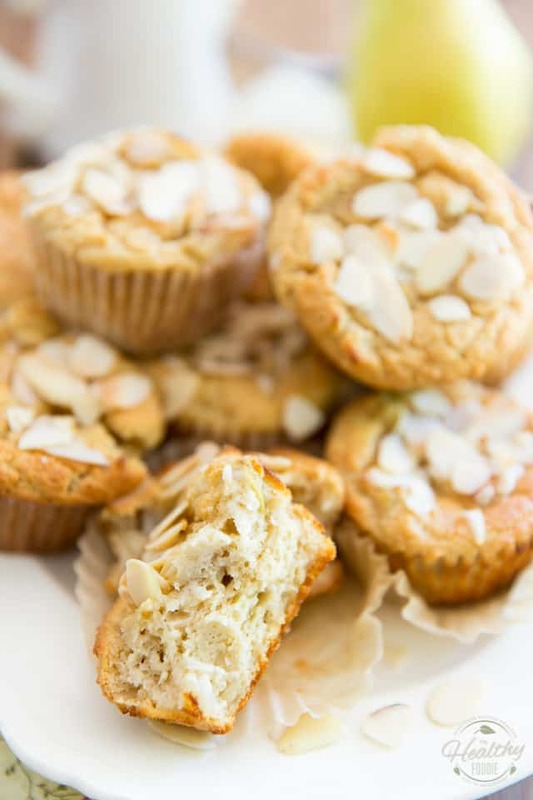 Divide the batter between the lined muffin cups, then top each muffin with a pinch of sliced almonds, if desired. . 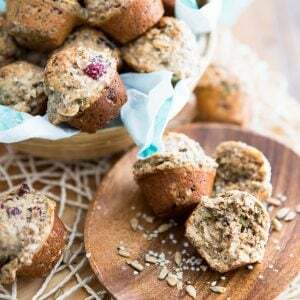 Allow the muffins to cool completely in the pan, at least 45 minutes, before attempting to remove them; store in the refrigerator in an airtight container for up to a week. If you couldn't find pear puree, you could make your own by processing a couple of ripe pears in a small food processor. 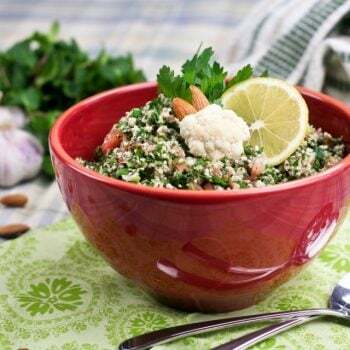 Likewise, you could make your own oat flour by processing rolled oats in a high speed blender. 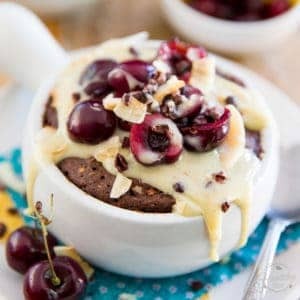 plse advise on substitute for yoghurt, almond and oat flour as I am allergic to all nuts, seeds, oats, gluten, dairy, soya etc. That’s a pretty tough challenge… Have you tried searching the Net for one? I’m pretty sure that you could find a few that would satisfy and meet your requirements! I just made these tonight and they turned out amazing! Thank you! 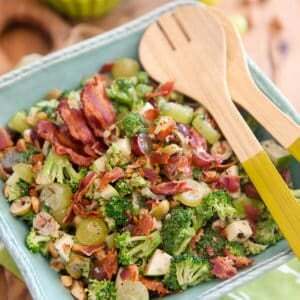 I am looking forward to trying this recipe. I like the combination of flours. Any reason I can’t substitute butter for the coconut oil and regular whole milk plain yogurt for the Greek yogurt? Thanks! 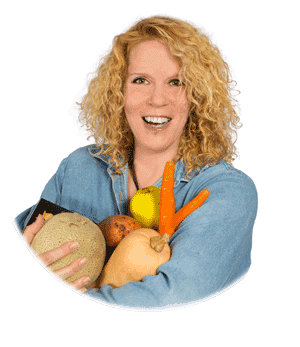 PS I’m also looking for a good banana nut muffins with some or all of the same flours. 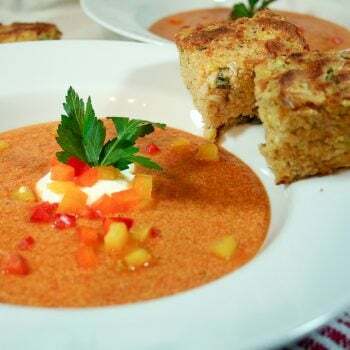 I’m finding some of the recipes I’m trying come out still wet and mushy inside.